SFI Global provide modern and high quality retail fixtures and fittings to a range of retailers. 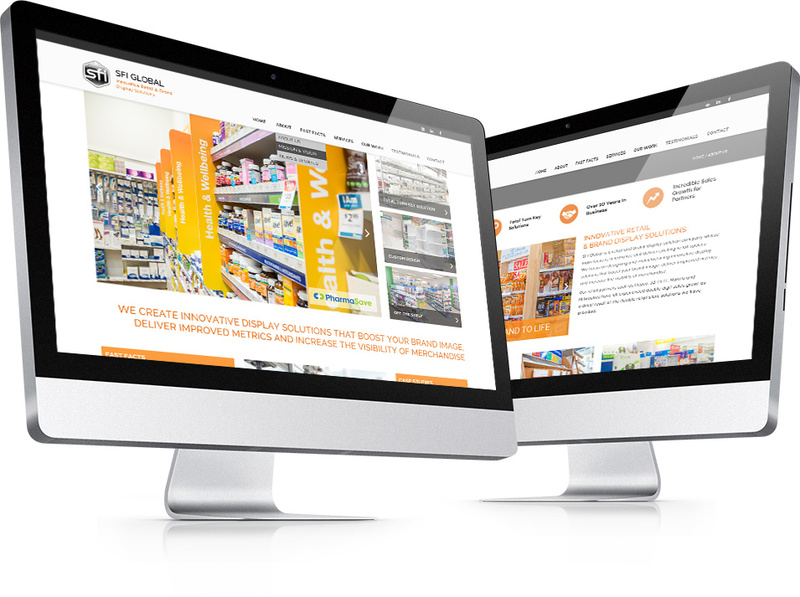 Whilst excellent at providing a top service to retailers, their marketing and website was falling flat. 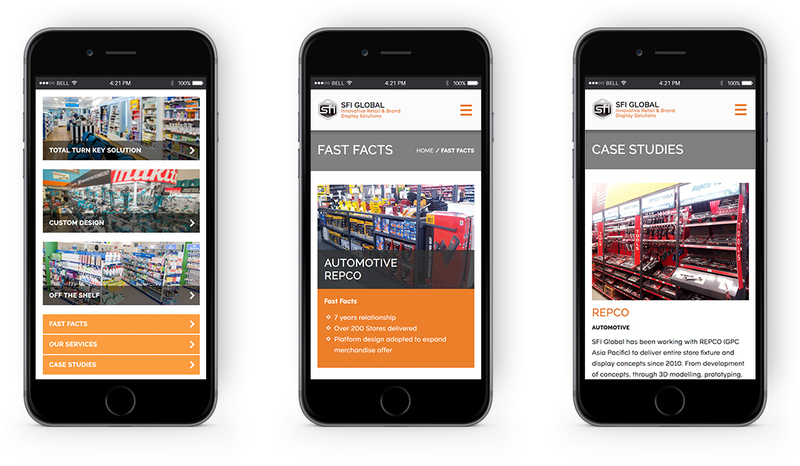 SFI Global wanted an all-encompassing solution to their marketing needs and came to Digital on Demand as a one-stop shop. Managing their marketing in-house was proving inefficient and they needed someone they could rely on. We offered an ongoing marketing partnership to assist SFI Global in all aspects of their marketing. Through diligent consultation we planned our strategy, this involved all company communications, such as improved business cards, company profile, website, content writing and overall marketing strategy. The website needed some work. The aim was a website that was both easy on the eye and easy to navigate, enhancing the user experience and better showcasing the SFI offering and past projects. We collaborated on a regular monthly basis to keep their marketing moving along with right materials at the right pace. By establishing the target market and the creative approach, we are now focused on optimising digital lead generation through organic and paid search engines like LinkedIn & Google AdWords. This is combined with effective CRM management, concentrating particularly on inbound marketing. The concept behind the www.sfiglobal.com redesign was driven by a desire to enhance the user experience, creating a website that was both easy on the eye and easy to navigate. By enhancing the UX and better showcasing the SFI offering and past projects, DoD was able to deliver an end result that was equally flattering as it was functional.